Everyone knows Stormbringer, the sword wielded by Elric—even people like me, who’ve barely read any of the Elric stories. Stormbringer is notorious in part because it’s the prototypical “intelligent sword” that old-timer RPG fans remember being a big deal in 1st edition AD&D. Now, there are rules for intelligent magic items in 5E, of course, and there’s certainly precedent in fantasy literature for intelligent or sentient magical objects that aren’t swords—the Lord of the Rings features one prominently—but I feel like the “intelligent sword” trope has kind of fallen by the wayside… at least, it felt like that when the trope came up in a discussion in a Facebook group I’m in. … really, as far as fun roleplaying opportunities, there’s no point in having an intelligent weapon that’s the same alignment as the wielder… unless the player has a tendency to violate his or her character’s own ostensible alignment, at least. I went on to discuss the idea of a pious, moralizing sword that complains about character actions and even interferes with them when it disapproves strongly enough: “You can’t kill these orc children! That’s eeeeevil…” cries the sword, flipping or wobbling in the wielder’s hand to avoid inflicting wounds with which it cannot reconcile itself. (Mechanically, you could have the sword capable of “banking” its magical bonus and concentrating the bonus into a single penalty in the moment: the more penalties it has to inflict, the longer the sword will be devoid of its usual bonus as it “recovers” its power. 1. The Drunken Blade: Reversing the magic-sword-as-heroin-addiction trope from Stormbringer/Elric: have the sword consume the soul of anyone slain with it… but then have it get intoxicated by that soul. At first, or with smaller opponents, it’s just a little bit… with big enemies, it gets outright hammered out of its mind, and begins to become dangerously unstable, releasing random magical effects, its potency attracting supernatural attention, and so on. 2. The Dumb Thinker: A sword with relatively low intelligence that nonetheless believes it’s a moral philosopher, and goes *on and on* about the ethics of a battle that’s already underway—weighing pros and cons—would be fun and cheerily obnoxious. 3. The Committed Anachronism: In-game politics can be fun. 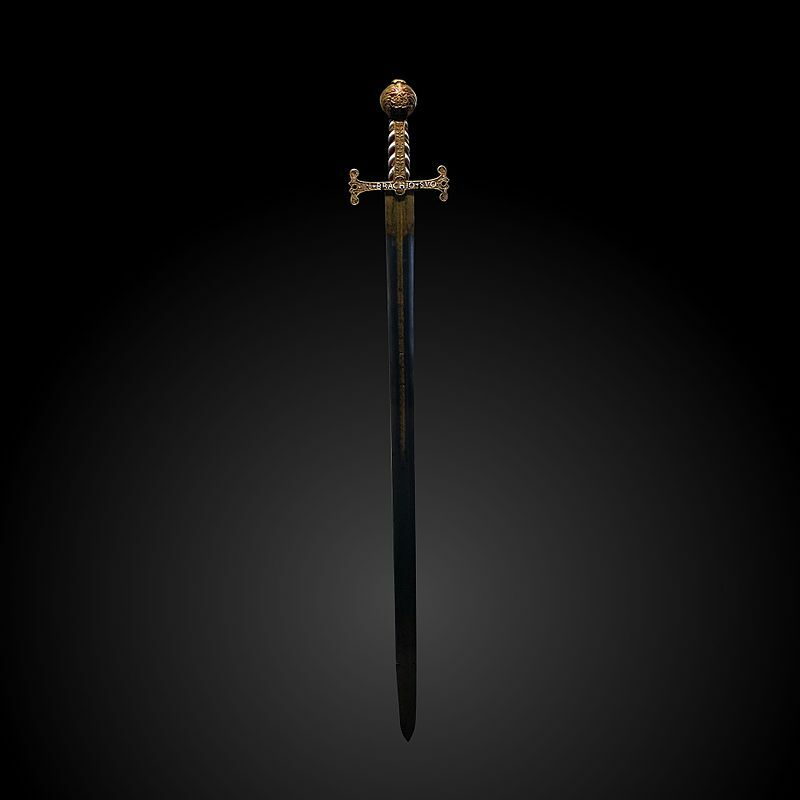 How about a sword that was made in some land (maybe a long time ago) that is now the enemy land of wielder’s homeland, or is long-defunct, or has radically changed course. The sword isn’t really bound by alignment but by national affiliation: its will is warped and constrained to a form that makes it always try to serve the interests of its patron/creator’s nation or the monarch of that nation, who is almost certainly long-dead, or has become a lich, or something like that.Therefore you have the sword always urging the wielder to do things that serve the other nation (or, worse, the other nation as it once was). The sword hears everything the party says, and they have to conceal the truth from it. Eventually, the truth would have to come out, but the tension of keeping the sword in the dark… this would be a fun one to put in some ancient royal tomb. 4. The Lucid Dreamer: For those who dig metafictional weirdness: a sword that wrongly believes that it is a human being lucid dreaming, and occasionally criticizes the player characters for being illogical or nonsensical. Bonus metafictionality points if the dreamer is someone not in a fantasy world, but someone in modern-day Earth.The sword’s power could also fluctuate to the degree that player characters humor, encourage, or inspire it… but it has a nasty tendency to attempt to control the player somewhat often, since it believes it is “lucid dreaming.” Pick up a couple of old Carlos Castaneda and pop psychology paperbacks and throw in highlighted references during exchanges with the sword, just for fun. 5. The Unstable Sword: How about a sword that doesn’t have a stable personality? Like Stormbringer, it devours the souls of those slain by it… but that soul must first be digested… and in effective terms, that means the power of the sword is determined by the conscious victim slain by it: if you slay a high-level mage or lich, you get Mageslayer +4 sword with some extra abilities, and the personality of the mage you slew. You thwack a slow-witted goblin with it next, and surprise! It’s bye-bye awesome sword, hello crappy piece of -1, low-Intelligence junk that just makes fart jokes in goblinish all the time. If you want to improve the blade’s power, you have to use it against enemies are tougher than you last used it on. If you slip, well… there’s that slow crawl back up to a powerful weapon. For added annoyance, you could make it so the blade only swallows the soul of the victim if it inflicts the killing blow. 6. The Band of Blades: A set of intelligent swords that contain the souls of a group of long-dead adventurers. When one of them is found and taken up, it leads the wielder to where the others are. This could be a cool campaign frame, where you jump back and forth between a long-ago timeline featuring the long-ago adventurers, and then the “modern day” adventurers who wield the swords into which the other player characters’ personalities are infused. There’s two cool angles to this concept: the first is that you could go deeper into the concept explored by Zzarchov Kowolski in his short LotFP adventure Thulian Echoes, occasionally having the player characters make an excursion to some adventure locale that the people now inside the swords visited long ago. The whole idea of “tags” that take on adventure-transforming significance when the modern-day player characters visit centuries later could be a recurring thing, so that your players get to sort grapple with this idea in different ways and in different settings. The swords could, of course, give the player characters some hints of how things went down ages ago—which would allow players not to have to pretend they don’t know this stuff—but of course, the changes that set in as a result of their actions would be a surprise to the swords and the modern player characters alike. Second, you could also riff a little on the whole “Shadowguide” thing from Wraith: The Oblivion: in that game, players were responsible not only for running their own player character, but also for running the “Shadow”—the dark, self-destructive, suppressed portions of the player character’s personality—of the character belonging to the player to their left. In this case, of course, the swords wouldn’t need to be evil outright, but some kind of disjunct between each modern player character’s way of thinking and their ethical framework would be necessary for the tension to be worthwhile. I think you could probably do something fun with this if you have a setting with serious cultural change has happened in the past millennium: say, the social and cultural changes that you get between Odin-worshipping Vikings (or polytheistic Greeks or Celts, say) and their Christianized descendants, or Hindu Javans and their Muslim descendants. 7. The Haunted Blade: A sword with a single, self-aware ghost bound to it. The ghost isn’t inside the blade, mind you. It’s just… around. The ghost could be conscious—it bemoans its luckless fate, or rages, or begs (orders?) characters to tie up the loose ends of its life, presumably so that it can be released from the bladebinding and go off into the afterlife, free at last. That’s a few ideas, mostly thought up during a break between my classes. What about a sword that has a grudge against another sword so will always go out of its way to seek out that weapon (and convincing its own wielder that this must be done to right some great universal wrong, when really the sword just has a grudge) and challenge its owner to a duel to a death. Bonus points if both sword are ostensibly “good”. In the Moorcock books I think it’s implied that the intelligent swords have the souls of dragons inside due to some bargain made in the remote past. Anyhow, the Grudge-Bearing Sword is a great idea too, and yeah, especially if both swords are, mechanically, of the same (“good”) alignment or whatever. I don’t know the Borges story… yet another author I’ve read a bit of, but not enough of. And yeah, I think this trope works just as well with knives, and probably certain other weapons, though sentient nunchuks is probably a blind alley.